If you want to know God, you need to know Jesus, who is near to the Father’s heart. And we know Jesus by reading Scripture. Listen to, or watch, this message based on John 1.15-18. I’m going to make this short and to the point. “Follow your heart,” the world says. And sometimes, the church says it, too. “The human heart is the most deceitful of all things, and desperately wicked. Who really knows how bad it is?” (Jeremiah 17.9, NLT). So pay more attention to your Bible than to your heart. Your Bible will point you to God. Abraham Joshua Heschel (1907-1972) was a Jewish Rabbi whose writing was and remains immensely popular. Last week, I learned a paraphrase of something he said about the Scriptures: the Bible is not a book that humanity wrote about God, but a book that God wrote about humanity. Of course, Heschel was writing about the Bible he knew, which we call the Old Testament. But I think it can be equally applied to both the Jewish and Christian Scriptures, from our perspective. It’s natural for us to turn to the Bible to learn something about God – and we can do just that! There are two kinds of revelation known to followers of Jesus. General revelation is the creation around us, the belief that just looking at a snow-capped mountain or a lake as still as glass should lead us to believe in the existence of a benevolent Creator. Special revelation comes to us in the Word – the Word made flesh in Jesus Christ, and the Word written, which testifies to him. The Bible does tell us everything we can know about God the Holy Trinity. But, as Heschel intimates, the Bible is also about us. When you look in the mirror, you see an accurate reflection of your physical being. 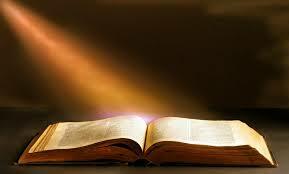 When you read the Bible, you can see an accurate reflection of your spiritual being. When we read the stories of the people of God in the time before Jesus, we see our own rebellion in theirs. When we read the Psalms, we see our own emotions reflected in the ancient words. 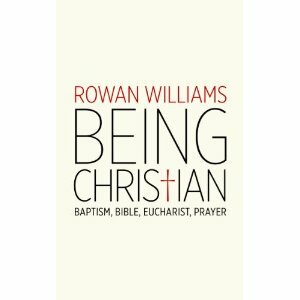 When we read the New Testament, though, we see something more: we see an image of what we are called to be. In the words of Jesus in the Sermon on the Mount, we see a reflection of the ethics to which he calls us; in the words of Paul and the other New Testament writers, we see a picture of who we are invited to become as the people of God, individually and collectively as the church. It may be challenging at times to carve out time to read the Bible, but I encourage you to do that every day. There is no part of God’s Word on which we cannot reflect. Every part of the Bible is equally inspired; of course, it is not all equally applied, but the Holy Spirit gives us wisdom, along with the tradition of the faith in which we find ourselves, to discern how best to grapple with any and every part of the Word. When you read the Bible, look for God. And look for yourself. “All Scripture is inspired by God and is useful to teach us what is true and to make us realize what is wrong in our lives. It corrects us when we are wrong and teaches us to do what is right” (2 Timothy 3.16, NLT). 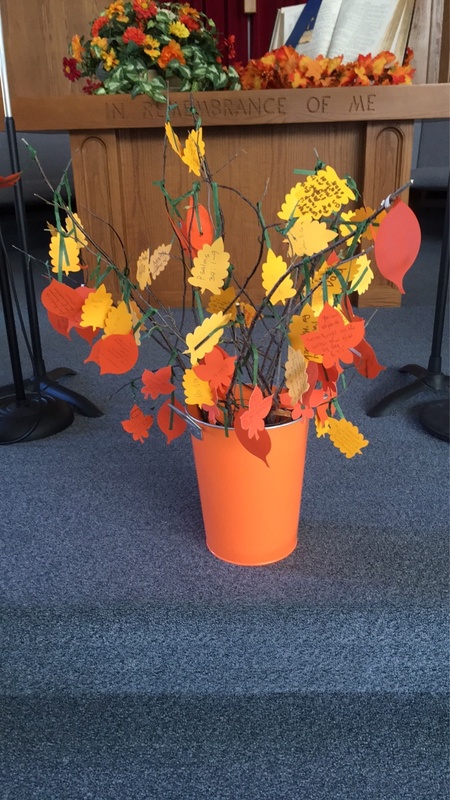 As a response to the message, everyone was invited to come forward with a ‘leaf’ each had been given at the beginning of the service, on which a treasured Scripture verse had been written. Here is the result!